The term osteochondrosis is used to describe a group of disorders that affect children and young adolescents with an immature skeleton. Symptoms generally appear between 10 and 14 years of age, with boys being more affected than girls. Children usually complain of pain and increasing disability at sport and everyday activities. Sever disease is a common cause of heel pain in young athletes. The Achilles tendon exerts tensile forces on the heel bone with physical activity. • Symptoms are worse at the beginning of a new sports season or during a growth spurt. • Weight-bearing activity and shoes, particularly soccer cleats, can aggravate the symptoms. • Physical examination often reveals point tenderness at the insertion of the Achilles tendon, tight heel cords and heel pain with compression. • Treatment includes physiotherapy, activity and shoe modifications, icing and NSAIDs, padded heel cups, and calf stretches. Other forms of osteochrondrosis-related foot pain include Freiberg disease (metatarsal head pain and swelling) and Kohler bone disease (midfoot pain and limp). 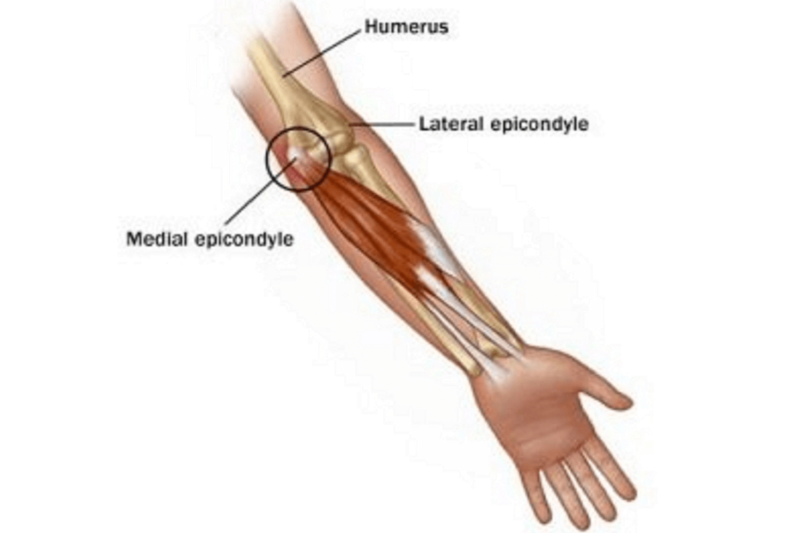 Medial epicondyle inflammation affects throwing athletes, such as pitchers. Frequent throwing results in repetitive stress across the medial epicondyle growth plate on the inside of the elbow. Prevention is the best treatment for this condition and should include pitch limits, with limitation of curveballs and sliders in particular. Successful treatment typically consists of ice, NSAIDs, physiotherapy and reduction or stopping throwing for a period of time.